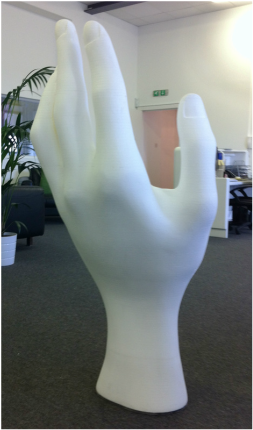 To SuperHuge 3D print a large model hand which would be used in an exhibition as an information point. We were also tasked with 3D file creation which also required us to include internal cavities for the storage of internal technology and for cables to run up to the rear of the oversized phone. The unit also needed to be Class1 Fire rated, robust and durable. 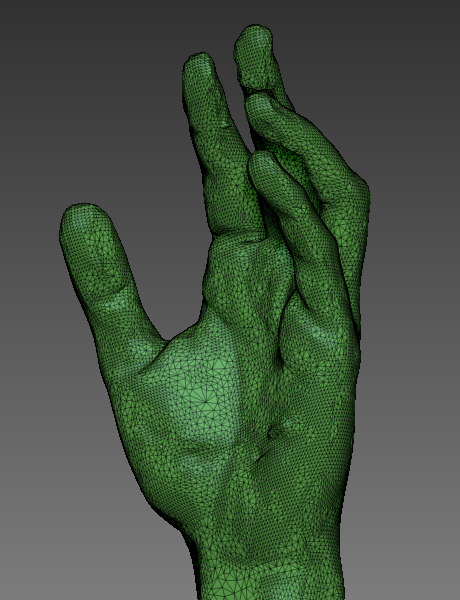 We 3D Scanned a hand that was holding clear acrylic the same proportions as the large phone model. 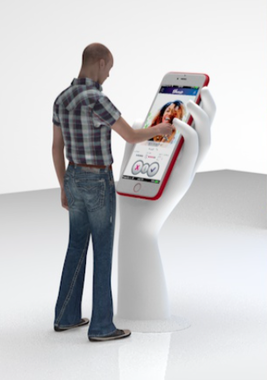 This would mean the large phone would fit the 3D printed hand. 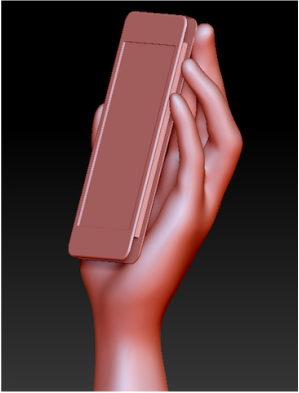 Next we smoothed and finished the aesthetics of the hand, and tweaked the fingers to fit a scaled phone model. 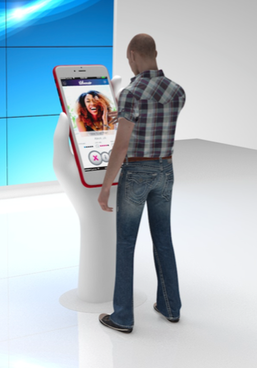 Again to be sure the 3D print would fit as close as possible to the enlarged phone model. 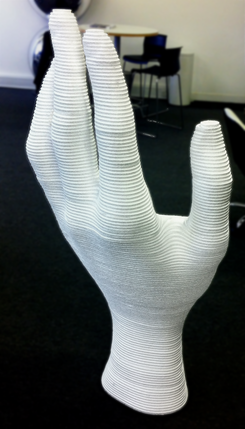 The hand was 1.5m tall, and you can see the resolution of the virgin print means it requires smoothing and finishing. This is carried out as standard. The fixing/fusing system we have developed leaves barely visible witness lines between layers after sanding. The smoothed print was sent for coating with PU resin. Prior to the PU coating process, brackets were fitted to the polystyrene fingers and palm as anchor points so the phone could be fixed. 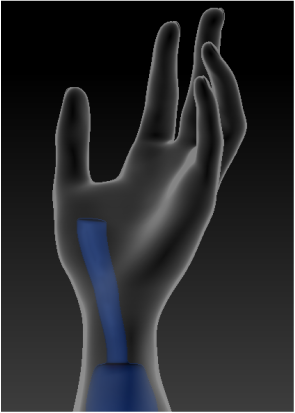 A steel base was used to add stability to the hand. The enlarged phone fitted a treat!